Very happy to be wearing them now! Thank you very much for posting the tabi to me so quickly, they arrived this morning and very happy to be wearing them now! Thank you very much for letting me know and such a prompt and friendly service - the cloths have just been delivered and a wonderful quality. Thank you again. I hope to make it to London one day to your stall at one of the fairs and have a look at the kimono collections. 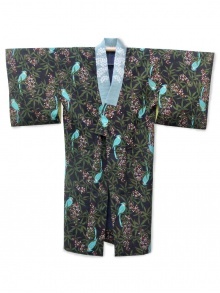 I have received my kimono dressing gown now and it is beautiful! Many thanks for sending that so quickly. I love them! I'll be back. Thank you Fuji, the parcel arrived today and I love them! I'll be back. My original was my admired by my dad - so this one is for him! I’m so happy with them! I received them today thank you Fuji! They are perfect- I’m so happy with them! 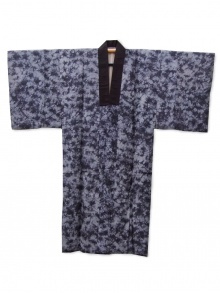 I have someone special that I wanted to buy one of your beautiful kimonos for . I’ve received the parcel, thank you - the packing is beautiful. I don’t want to open it and look at the kimono as want to keep it all neat, but am sure it will be a stunning kimono when my girlfriend unwraps it for christmas! Parcel arrived this afternoon with everything so beautifully packed. Very happy with the items which are for Christmas presents. Thank you, I am sure I will be a customer again. I have just come home from singing with members of a choir at a funeral. 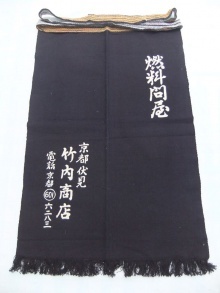 We were asked not to wear 'black' so I thought of my latest Kimono. 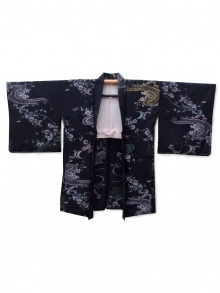 So far, this is the favourite Kimono I that have. Also, it is the only one I have actually worn 'out'. It takes guts/confidence to look different. I think it is a shame that more people don't make an effort to dress-up a bit more - It takes a lot of confidence to dress-up because you stand out from the crowd. I like making an effort - It makes me feel like a million dollars! I am going to start wearing my other Kimono now. I'm 70 years now - time to not care what others think. I hope you are happy with these photographs taken outside the church this morning? I am ecstatic! Thank you! I received my order today, Consequences. What a beautiful thing it is. I can honestly say it is the most interesting and beautiful item of clothing I own. I will cherish it. sorry for the late reply, i'm bad at sending emails! i received the happi and i'm SUPER satisfied, thank you!! of course i'll recommend your shop to everyone around me! 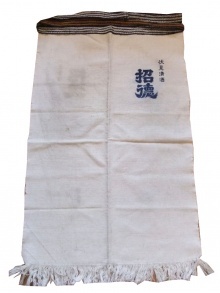 I’m currently wearing my new haori - received lots of compliments on it at the office today! I’m very pleased with it and definitely made the right choice by going with the green one. Thank you for the quick and efficient delivery. My parcel arrived yesterday, and the tabi and socks are a great fit. I am playing taiko in a concert this weekend, so I am very happy to have them this week! Excellent item present for my son who will love it. It came – beautifully packed. Many thanks for you prompt delivery and excellent customer service, I will definitely recommend you if anyone asks where I got them from. Beautifully packed and with a lovely card was waiting when we arrived in Madrid today. 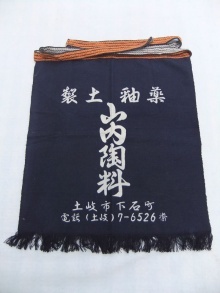 It is in beautiful condition and will be a spectacular present (60th birthday), for a spectacular person. The beautiful Haori "The tree of life" arrived to Palma on tuesday 11, thank you very much for your attention and kindness. Thank you ever so much for sending this to me so quickly. It arrived today, in time for the birthday. 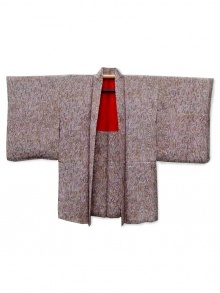 Thanks for this – the kimono has arrived and is lovely. Really pleased with The Tabi Boots and appreciate the prompt and pleasant service! I just wanted to thank you.. the tabi arrieved today and they're perfect! I was also surprised by your communication and the level of service you provided - both were exceptional! You're doing a great job - (I wanted to tell this to you and let you know). Thank you very much again..
(I'll probably buy the next set of tabi(s) in your shop). Thank you kimono arrived today and it is beautiful. Well ... my haori certainly does not disappoint. I have just undone my package .. so carefully packed and presented. Exactly as you described .. so elegant and flawless and for a vintage item ... fragrant. I am thrilled. I chose well and you can be sure it has found a good home. I love the kimono, Thank you so much. Thank you for keeping me informed. The jikatabi have arrived and they look very authentic. Thank you and they have already arrived, exactly what I wanted thankyou very much indeed. The nightgown kimono arrived and is perfect. Thankyou so much, it was a pleasure to order from such a delightful company. We have received the kimonos and they are absolutely gorgeous. Thank you so much. We are very happy ! We shall send you a photo on Saturday when Paulina is dressed up properly for her charity dress up day for work. 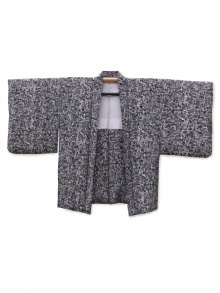 I'm writing to say that the Kyoto Garden kimono is extraordinary! It's such a beautiful art piece and after reading your text it made me cherish it even more. As a big lover of kimonos since I was a child, I will treat it as best as I can! I'll keep checking your website! Thank you so much.. Great service...look forward to it. Hello Fuji, how are you? I love the look of the jacket and thought it perfect for the summer.Thanks so much. 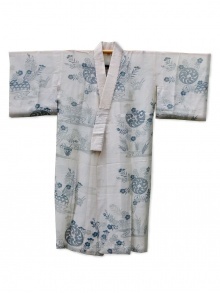 Enjoying your website and beautiful kimonos as always. Thanks for your note: I have received delivery and am delighted with the items and your customer service. Best wishes for every success in your business. The order arrived this morning and I've been wearing them all day. They're perfect! Thank you for your patience and I'll be sure to recommend you to others I train with. Thank you I received my tabi yesterday. I'm very happy with them and the service I have received. Thank you so much for the update, I know the relative its for will be thrilled with his Christmas present. 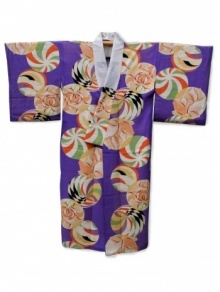 As soon as I've finished buying everyone else presents I shall start saving up for a kimono for myself as you have some beautiful pieces on your website. I have well received the package yesterday, thank you so much ! 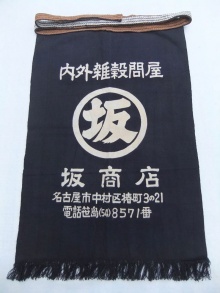 It was really well wrapped and folded, and the instructions for washing are very useful.